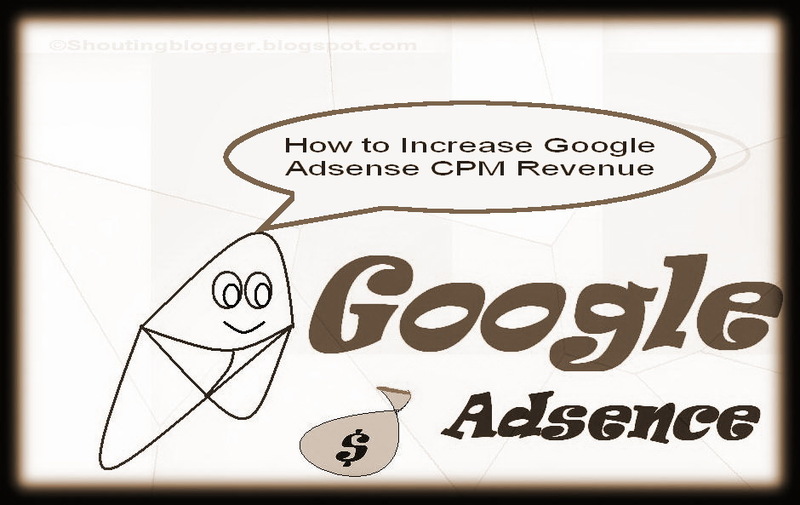 How to Increase Google Adsense CPM Revenue . Cpm is known as Cost per thousand impression of ad unit . If any Advertiser buy Cpm ads then he might have to pay money for every thousand impression no matter its unique impression or raw impression while publisher who shows these Ads on there website get paid for per thousands impression for particular ad unit. Although Cpm ads generate more revenue if your website receive huge page views as compared to unique visit but its impossible to create CPM ads unit with your adsence account , To ensure best advertisement experience for there customer they mix Cpm with Cpc ads for every ads unit you create with Adsence . Since there is no way to create particular ads unit with only Cpc ads and Cpm ads , therefore only way to improve Cpm revenue is to optimize your ads unit for best performance . There are various factor that could help you to boost your Cpm ads revenue . Increase Google Adsense Cpm Revenue - Best Performing Ads unit for cpm . We all know large ads unit covers up large space of your website but using large ads unit in our website you can improve your Adsence revenue as compared to small ads unit . According to Advertiser Bid rates for Cpm , Cpm bid rate for large ads unit is much more higher then those Small Ads units , which means higher bid rate means higher revenue share . Improve Google Adsense Cpm Revenue - Best Performing Ad formats for cpm . Larger Ads size with generate more and more for your Adsence revenue no matter its Cpm ads or Cpc ads that means large Ads unit have large Cpc bid rate as well as large Cpm bid rate . Cpm ads generate more revenue for some ads type like Image ads ,Flash ads ,Rich media etc. Although large Cpm ads unit generate more revenue , but due to large ads design , loading time of large ads unit is high as compared to other small unit due to which visitor coming form low speed internet with not able to see ads and you won't be getting any impression that's why you must improve your website loading time .Experiment by placing Different ads format in you website and analyse best performing ads format for you website or blog . 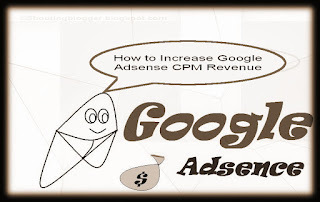 Increase Google Adsense Cpm Revenue - Best performing ads type for cpm . Cpm basically is meant for those advertiser ,who want to promote there brand and to make awareness about there brand .So obviously Rich media ads are best option to generate brand Awareness which means more and more Cpm advertiser who choose Rich media ads for there Cpm Advertisement , that's why to improve more money from Cpm , You may create Rich media ads instead of other ads types ( Best for Cpm Ads revenue but do not perform well for Cpc ads revenue as compared to other type because more Cpm adevertiser are involved in Rich media ads ) . Increase Google Adsense Cpm Revenue - Best Performing Ad formats for cpm .